Riding a scooter has always been a source of enjoyment. Back in the day, it was something that only the cool kids in the neighborhood had their hands on. But as time went by, manufacturers came out with various options to make it even better. Ultimately scooters became even more sought after items and haven’t lost its flair even today. Scooters are extremely popular among the young generation. But recent efforts by the prominent vendors, scooters are now sought after by basically all ages. Vendors somehow managed to turn a kid’s dream into an average person’s go-to ride for casual occasions. 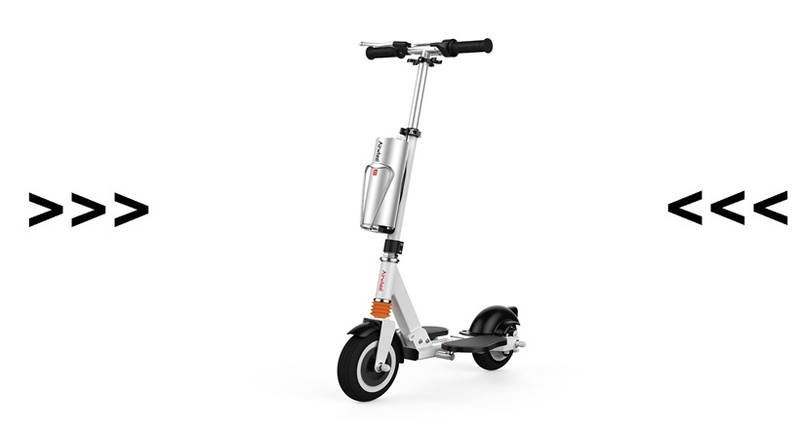 The Razor E325 Electric Scooter is such a product. 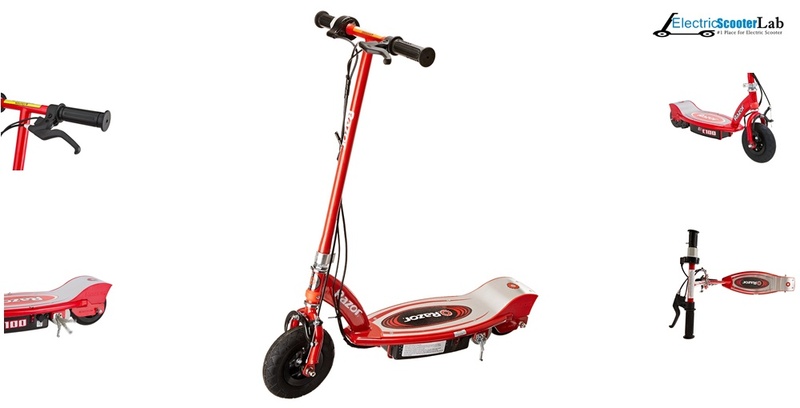 This scooter is suitable for both teenager and adult. 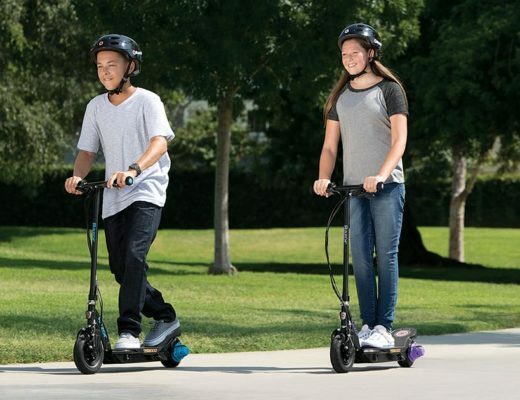 Here is the shortlist scooter for teenagers & scooter for adults. if you need to see our top recommendation. Razor made an outstanding scooter, which is durable, smart, light weighted and portable for all the purpose. To cover a short distance it is one of the best. People like Razor E325 Electric Scooter because of its great design and color unique than the other scooters. 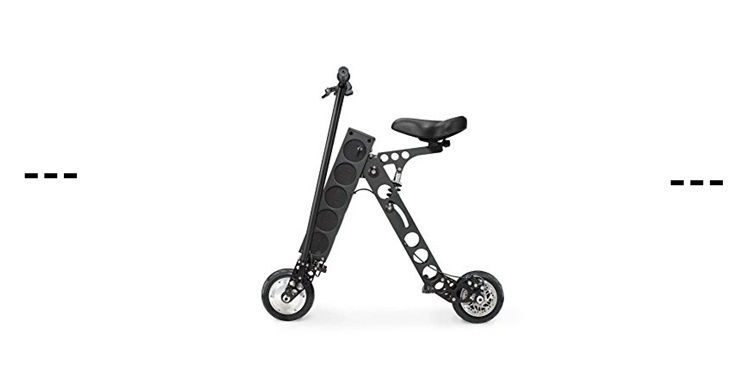 Besides color and design, there are also other features and benefits of this scooter. What are they? 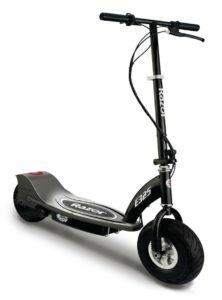 Let’s see in Razor e325 electric scooter reviews. The Razor E325 Electric Scooter comes with a good number of features. The features are quite promising. Let us start from the ground up. The bike has a large enough frame for providing better support. The frame can take a 220 pounder without any issue. This frame offers good riding experience. The scooter is 300w motor driven. The motor allows the rider to crank up the speed to about 15mph, which is quite a lot. The chain-driven motor can run for about 40-45 minutes and go about 8-9 miles. The motor operation is smooth and emits less noise. It comes with a solid battery that needs a 12-hour charge before it can deliver any power to the motor. But to be on the safe side, it is recommended to charge the battery for a full 24 hours before riding the scooter. The battery allows the motor to run for about 40-45 minutes before needing a charge. This scooter comes with 10-inch pneumatic tires for a smooth ride. These extra-large tires offer a great experience while riding. The twist-grip throttle system allows you to speed up or down according to your needs. This makes riding the scooter quite a fun experience. A speed of about 15mph can easily be reached, which is more than enough. puncture proof tires are a great addition. Also, the variable speed control makes it a more appreciable option than most other scooters out there. In short, let’s highlight the best features of this electric scooter. 40 minutes continue to ride time. 15 mph speed perfect for all. But the product has some downsides too. The most noticeable problem is the battery life. 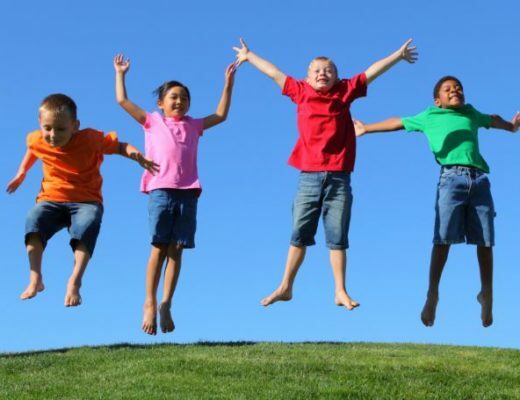 If the battery needs to be charged for 12 hours just to get 40 minutes of joy, it is a real deal breaker! This is a major flaw for a product like this. The option of having retractable handlebars is gone. 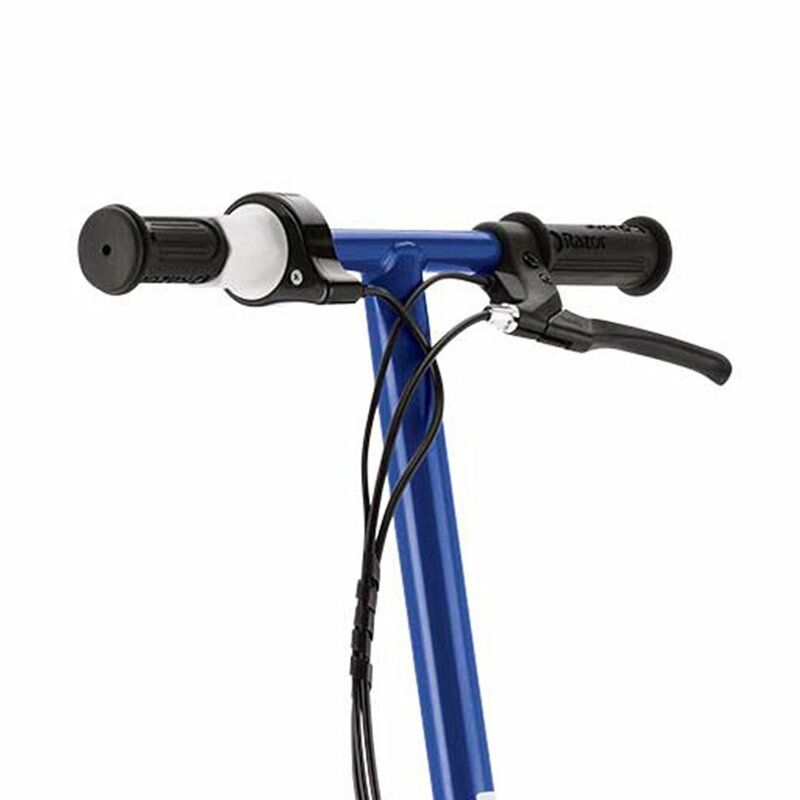 The previous version of the product came with retractable handlebars, which was a nice option for packing it along. The frame holds 220 pounds, which is great. But the scooter is not suitable to climb hills or tread through mountain tracks, which is another downside. Before jumping on to our judgment, we would like to point out the pros and cons of the product itself. Let’s get right into it. It is time to give our final opinion about the product. The scooter comes with a set of really nice features. However, there are some flaws which need attention. But overall, we would recommend that you go for it. 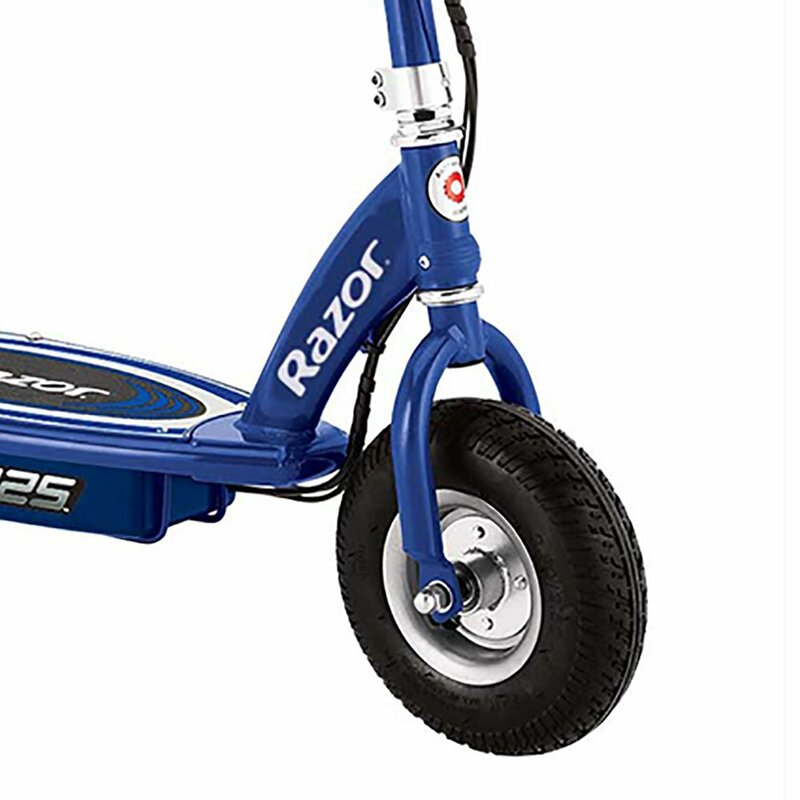 At such a price, the Razor E325 Electric Scooter is definitely worth a shot! Read our ultimate razor e325 electric scooter reviews to know the advantage & disadvantage of this scooter. Maximum comfort and ease with generously sized deck. Chain motor provides noise free riding. 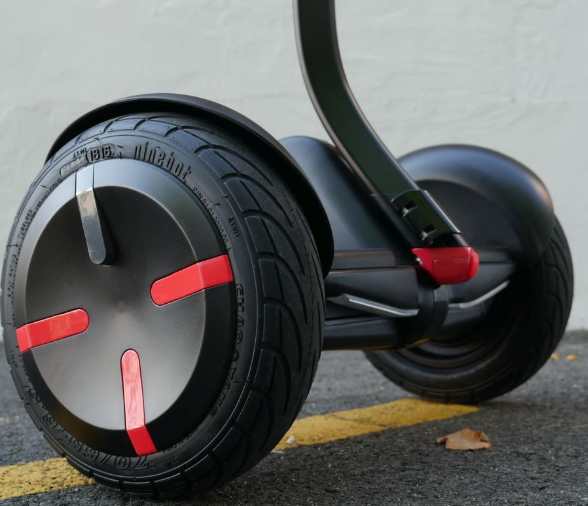 40 minutes ride with a single charge. Wide tire and brake ensure the safety. Twist-grip throttle system for variable speed control and provides quick and smooth acceleration. Only for the 12 years old and above. Overcharging may harm the battery. Keep the scooter always clean and keep the scooter in a cool and clean place. Don’t unplug the charger before the full charge of the battery. If you want to enjoy the best of this scooter, you need to maintain this scooter properly. For all kinds of maintenance and installation, follow the instructions in the user guide provided by the manufacturer. Be careful to tighten the nut and bolts after assembling the scooter. Always use the tools to assemble given with the scooter. Avoid the uneven surfaces and roads while riding. To reach the nearest destination or to enjoy the ride in the neighborhood, Razor E325 Electric Scooter is the best. You will get what you expect from an electric scooter if you buy it. So, don’t waste your time and buy it as early as possible. For more guides and reviews follow me on Electric Scooter Lab.